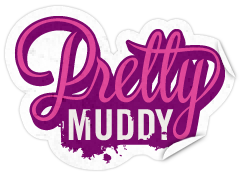 I recently posted about the awesome people over at Pretty Muddy and their partnership with Susan G Komen to raise funds to fight breast cancer. Well now the fun part, they've given me 4 entries, 2 regular entries and 2 family entries into the race of your choice. The races are in Dallas, Sacramento, Richmond and Chicago so you have few to choose from. RunnerBox Giftbox review and Giveaway!! !